When I started writing fiction I had no idea it would turn into a book series. I just wrote a story that compelled me to do my best and as it turned out, it was significantly longer than one book. It has been twelve years since I began my journey as an author and last summer I released the second book in the Stealing Time Series. Through that journey, I’m halfway through a four-book series and I’d like to share my best tips for writing a compelling series. One of the first tasks I took on as a new author was to get to know my characters. Following the advice of Evan Marshall, in The Marshall Plan for Novel Writing, I developed a bio on each character, delving into all parts of their world. I cut out pictures of them in various poses (from a JC Penny catalog!) and imagined the details of their life, physical characteristics, flaws, even their parent’s jobs. As impatient as I was to get started, I think this step allowed me to feel their motivations and add layers as I moved through their story arcs. As I have written their dialog and mapped out their journeys, they have taken over my subconscious and now, after the second book, they’re so much a part of me I don’t need to refer back to these notes anymore. They move through my subconscious and often dictate their path (whether I like it or not). When I wrote the first draft the basic story came together nicely. The editing process brought about a number of layers that added a richness to my work that I believe keep the readers coming back for more. Let me share an example of this: In the first book, my main character Ronnie Andrews mentions that her father died five years in the past. As I was writing the second book, an idea developed that created an entire backstory for the father and will be an integral part of the third and fourth books in the series. It started as a tiny kernel of an idea, but as I kept exploring the possibilities a passing detail from Ronnie’s bio became an entire underlying plot driver for a future novel. Knowing this as I wrote the second book, it was easy to drop bread crumbs about this character that revealed a huge bombshell for the reader. It is one of the lingering questions at the end of book two that will bring my readers back to find out where this story thread leads. Before I started writing the second book in the series, Shattering Time, I loosely plotted the remaining books in the series. There will be story elements that develop as I write, like the father’s backstory, but knowing where the future books will go gives me the freedom to maneuver in those parameters, add clues about what will come, and prevent getting caught up in a plot hole in the future. This is another key strategy that allows those delicious layers to form and provides opportunities to build a deeper plot than if I only worked on one storyline at a time. It is similar to watching a well-written TV series; they dive into the episodic plot, but they also weave in bigger story elements that carry through the series to add cohesion and build character depth as they move along. To add freshness you need to keep the readers on their toes by adding fresh new blood to the story. In Shattering Time, I introduce two important new characters — Mike Walsh, Ronnie’s hot boss, and Steph’s little brother, Ian McKay. Both serve a purpose in future books and add an anchor point from this book to the next in the series. Mike offers Ronnie a better alternative than her current boyfriend, who Ronnie is finally seeing what her best friend Steph has been saying all along – that Jeffrey is not who she thinks he is. Ian adds comic relief to a very stressful plot and will bring an important skill set to book three. Another way to add newness for the reader is to keep a distinct setting for each story. In the first book, Stealing Time, the story is split between her friend Stephanie McKay during Hurricane Charlie and Ronnie’s journey back in time to 1752 London. In the next book, Ronnie and Steph are together during Hurricane Frances, until Ronnie is sent back in time to multiple locations. See how it’s still a split story but with none of the same locations as the first book? In the third book, everything changes when Ronnie and Mike head to Puerto Rico on a business trip and encounter Hurricane Jeanne. The unifying elements through the entire series are the hurricane and the promise of time travel, but I’ve changed locations to add new challenges and situations to keep it fresh for the reader. I’d love to know what you’d add to this list to write compelling fiction. I invite you to check out my Stealing Time Series so you can experience the power of the storm and see how I use these five tips mentioned here. 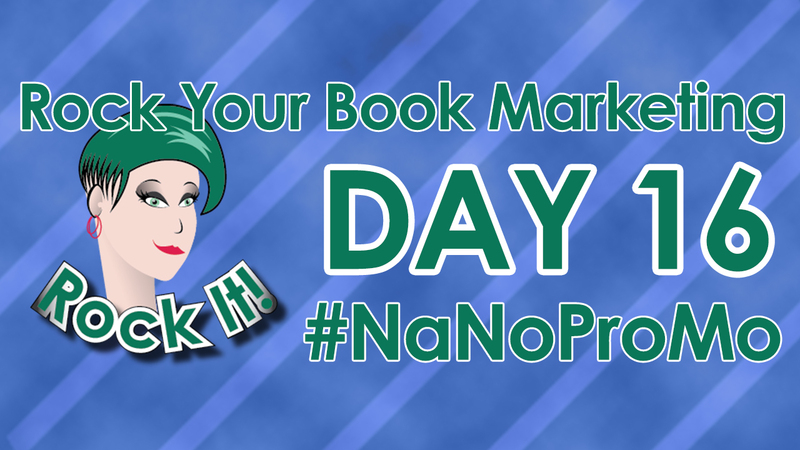 #NaNoProMo Day 16: Five Tips for Writing a Compelling Book Series by guest @KJWatersAuthor and a Personal Branding giveaway from @AnhTNguyen - Comment to enter! Please sign up for my newsletter on my website (kjwaters.com) and join the fun. I’m always offering ways to win copies of my books, and other special sneak peeks. I’ve also just started KJ Waters Consultancy, where I offer one-on-one coaching sessions to help you in your writing and publishing journey’s from branding and social media to the opportunities in the publishing world. Visit my new website KJWConsultancy.com to find out more. Anh Nguyen has donated a 45-minute consult on personal branding. Comment below to enter to win! 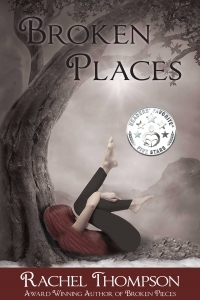 Anh is also Rachel's guest tonight on #BookMarketingChat at 6pm pst/9pm est on Twitter. Just use the hashtag to participate! Find out more about Ann on her Facebook, Twitter Instagram, Snapchat and LinkedIn profiles. ...loves the ocean and any body of water that is warm (and clean). She is the #1 Amazon best-selling author of the short-story, Blow, and #1 best-seller, Stealing Time. She has a Master's in Business and over 18 years of experience in the marketing field. Before quitting her job to raise a family and work on writing, she was the Director of Marketing and Communications for a national behavioral healthcare company. 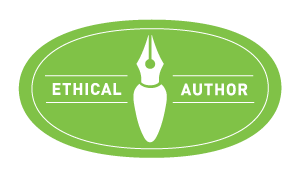 Rachel Thompson is the author of newly released BadRedhead Media 30-Day Book Marketing Challenge: How to energize your book sales in a month - created to help authors market their book. She is also the author of Broken Places (one of IndieReader's "Best of 2015" top books and 2015 Honorable Mention Winner in the San Francisco Book Festival), and the multi award-winning Broken Pieces, as well as two additional humor books, A Walk In The Snark and Mancode: Exposed. She owns BadRedhead Media, creating effective social media and book marketing campaigns for authors. Her articles appear regularly in The Huffington Post, IndieReader.com, The San Francisco Book Review (BadRedhead Says…), 12Most.com, BookPromotion.com, and Self-Publishers Monthly. 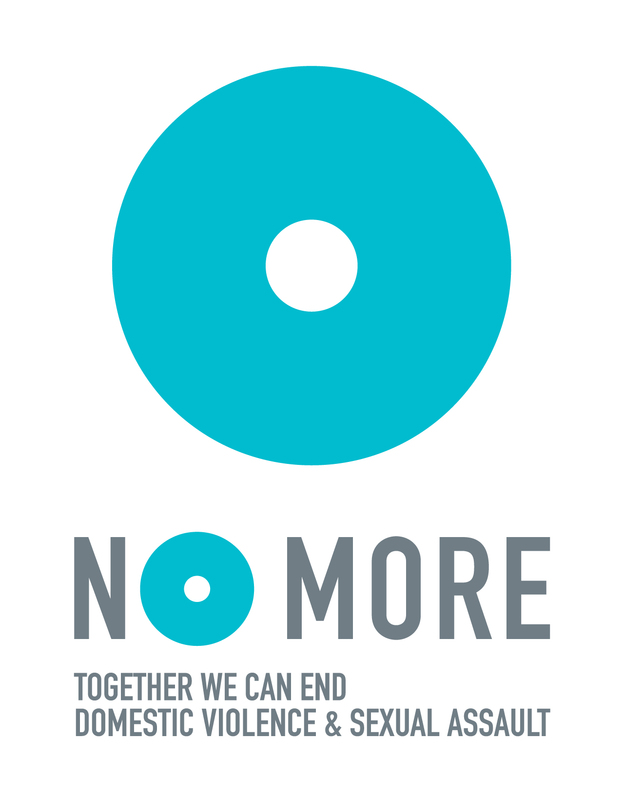 Not just an advocate for sexual abuse survivors, Rachel is the creator and founder of the hashtag phenomenon #MondayBlogs, #BookMarketingChat (co-hosted with Melissa Flickinger) and #SexAbuseChat, co-hosted with certified therapist/survivor, Bobbi Parish all live Twitter chats. She hates walks in the rain, running out of coffee, and coconut. She lives in California with her family. Deep sigh of relief. This is totally what I do in my writing. I wasn’t sure if it would be considered a series or not. Thanks for the awesome advice! I find a spreadsheet helps keep track of my story arcs across my series. Along the top I label my books, and down the side the important characters and themes, I then just fill in spaces with a sentence or two that tells me the significant arcs for each character. Whenever I have a question about the big picture, I can just glance back at my cheat sheet! This is definitely something to think about. I did not originally conceive my current WIP as part of a series, but maybe. Maybe. A short story I’m working on right now is actually using the main character as child, just because I love him. Prequel, perhaps. Thanks, Rachel and KJ, for an interesting and helpful article. I’ve created a couple of TV series, and I was struck by the similarity of the steps used in preparation. A novel allows more opportunity to explore inner feelings and motivations, but a screenwriter must also develop a strong working grasp of her characters. Jennifer, so excited for you! Best of luck writing your second book. I promise it will be significantly easier this go round. Thank you for participating in #NANOPROMO! Daniella, if you’ve got the same characters or some thread it is a series. I hope it all goes well in your writing! I’m here if you need a cheerleader! Best of luck! Jessica, what a wonderful piece of advice. My editor (Jeri Walker who was on #Nanopromo last week) puts together something similar but not with the Arc as the theme. I think that is another great way to stay on track. Thank you for this idea! I’m working on a series, and your post has highlighted one of the things I haven’t yet done enough work on – getting to know my minor characters (some of whom will become major characters in the subsequent books). Thanks for the tips! Lisa, I’m so excited my article is giving you ideas for a series. If you’re that in love with a character so are your readers. I love the idea of a prequel — GO FOR IT!! This is exactly the information I need right now as I’m editing book 1 and outlining book 2 of my series. Thank you for laying it out. I’ve got a lot more to think about now, but I’m looking forward to doing the work. I never start out writing a series. I have come up with ideas for another book at the end or after it’s out, but never at the start. I am a amazed by those who can sit down and sketch out a whole series then stick with it until all are written. Great tips, thank you for sharing! You and I embarked on a similar journey… a novel that turned into a series. I find the more compelling the characters, the easier it is to spend an entire series with them. Though my second installment has less “new” characters, we see a lot more of the minor characters from book one, who return for much larger roles. I found this post fascinating and full of helpful advice because though I’ve written series in the past, I’m a die-hard panster. But recently, I found myself envisioning a new series, and before I could even begin spinning ideas around, I picked up a notebook and started making character pages and the like. That something I’ve never done before–in part because I worry if I spend so much time on creating the ‘Bible’ so to speak, I’ll never get around to writing the actual story. But this time it really feels right. I’m more excited about this set of characters and the potential for this series than I’ve been in a long, long time!